DJ, producer and Grammy winner, Tiësto, surprised the dance music world recently with the release of his new mix album, ‘CLUBLIFE Vol 4: New York City’ [Musical Freedom/Republic Records/Casablanca Records]. This release follows on the heels of three editions in the series inspired by Las Vegas, Miami and Stockholm, respectively. The fourth installment in the series is inspired by New York City - one of the world’s greatest cities and a place instrumental to the development of dance music culture as we know it. Tiësto: “I launched my Clublife series with the idea of creating a mix album inspired by cities that love dance music. The series started with Las Vegas, the home of my Hakkasan residency, and then followed with volumes inspired by Miami and Stockholm. Now, it’s time to show respect to the city that never sleeps - New York. This is a very special city for so many reasons and it’s true that whatever you desire is at your fingertips – great culture, fashion, food, and entertainment. 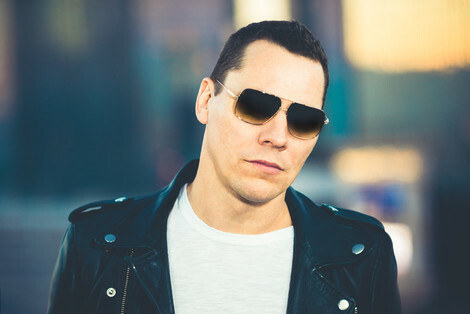 Tiesto’s own original productions, edits and remixes are a staple of all the compilations, and included here are brand new Tiësto songs ‘Butterflies’ and ‘Change Your World’, Tiësto & The Disco Fries ‘Chant’ and Tiësto & Dallas K ‘Show Me’, edits including Bobby Puma ‘Someone Somewhere (Tiësto Edit)’, Wee-O Fighting For feat. Morgan Karr’ (Tiësto Edit), Firebeatz ‘Sky High (Tiësto Edit)’ and MOTi ‘House Of Now (Tiësto Edit)’ and the exclusive Tiesto vs Twoloud remix of Dotan’s ‘Home’. The release also showcases some of Tiësto’s current favourite tracks as well as emerging talent from his Musical Freedom label. Exclusives include ‘Lucid’ from Miami’s A&G and ‘Alpha’ by local New York area DJ/producers Zaxx vs. Riggi & Piros. These tracks are paired with recent Musical Freedom tracks from MOTI, Dzeko & Torres and Alvaro & Jetfire. Rounding out the mix album are Tiësto & KSHMR ‘Secrets’ and Martin Garrix & Tiësto ‘The Only Way Is Up’.